Did you know that when Her Majesty the Queen of England was crowned in 1953 the entrance to Westminster Abbey was guarded by ten fantastical creatures? These are known as the Queens Beasts and this eclectic new mini-series within the 2019 general plush collection showcases 4 of these. 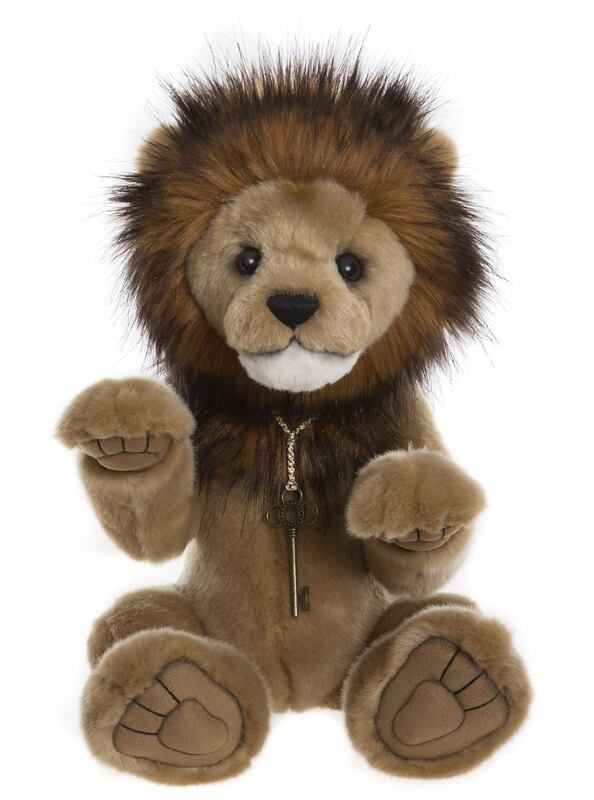 The second release in this first series is our cuddly lion Goliath. He has been created using a selection of luxurious plush in royal golds and tonal browns. Additional facial sculpture has been added to emphasise his character and a full headed mane. He has sculptured paw pads and a long tail. Packed with personality his quirky little character shines through. A simple necklace added as well as his accessory. He is a numbered limited edition of 2000 pieces and takes us to the half way mark on this year’s first series of our fantastical Queens beasts. The full limited edition set features China the bull, Goliath the lion, Oona the unicorn and Grumbleweed our friendly dragon. Goliath has been created using synthetic plush fabrics, he has been fully tested to meet all relevant toy safety standards in the USA, Europe and Australia and is recommended for collectors aged 3 years and above.